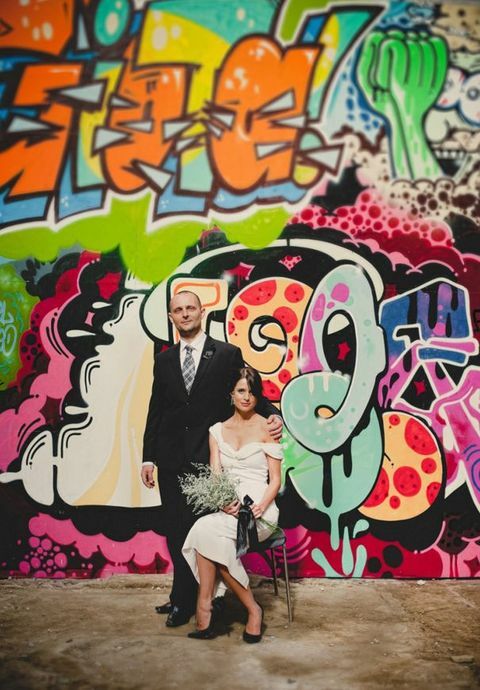 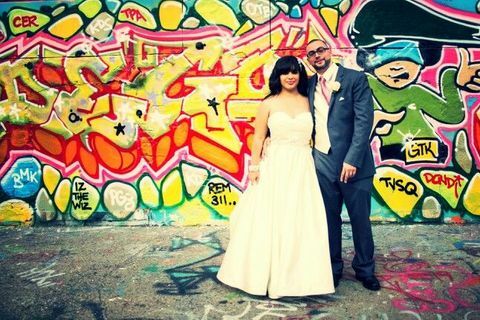 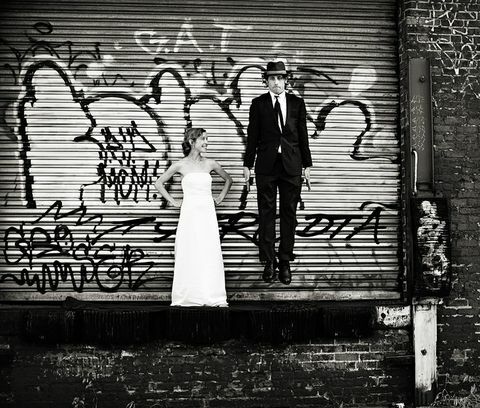 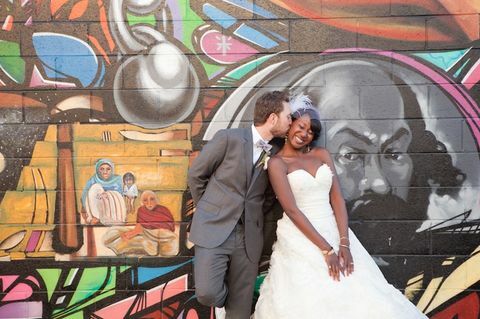 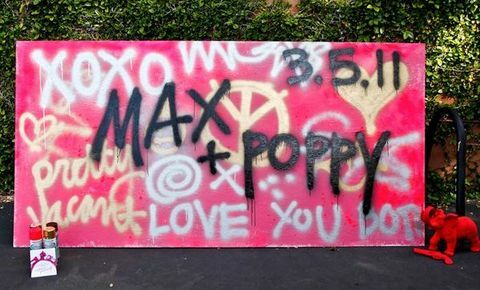 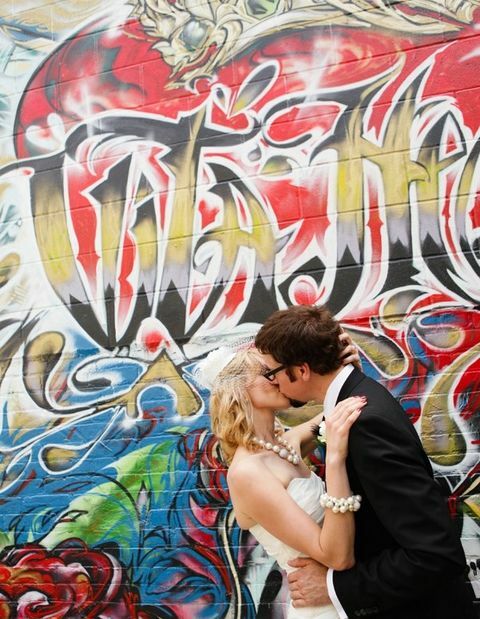 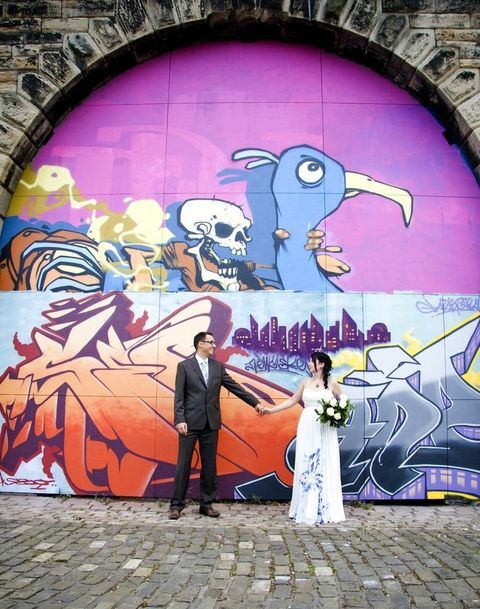 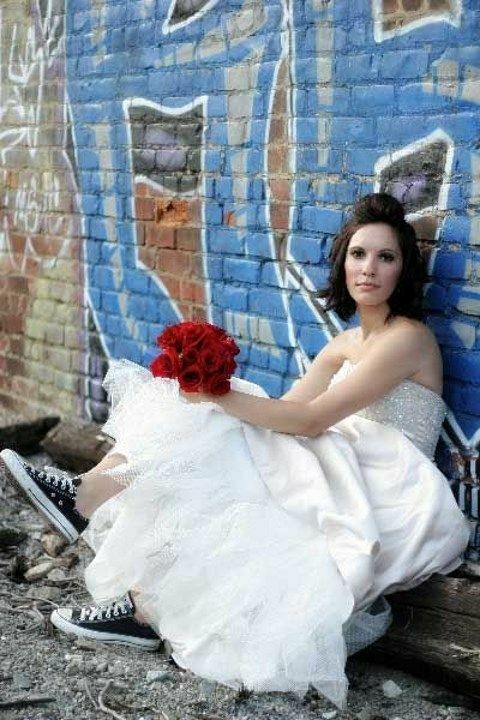 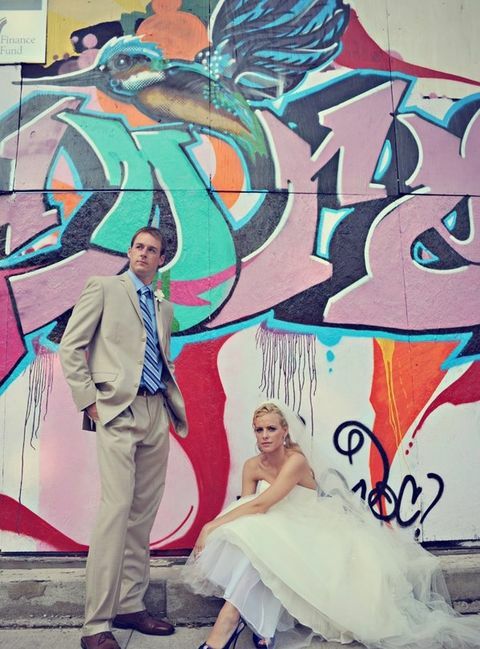 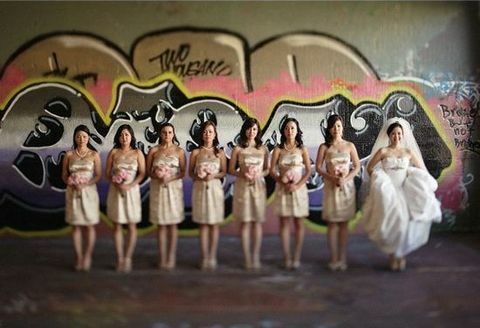 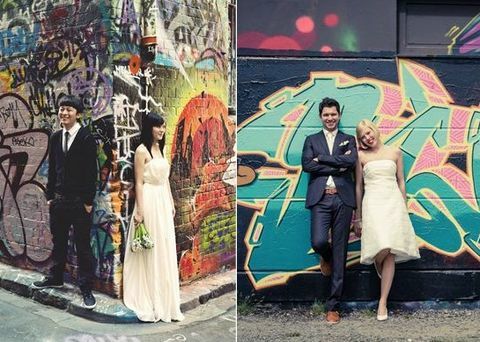 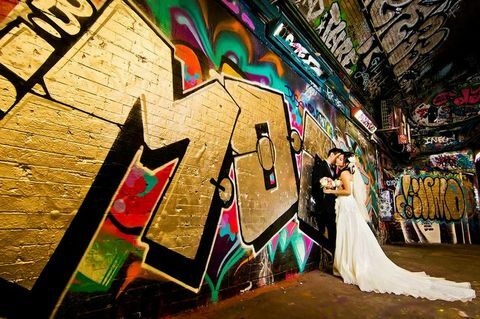 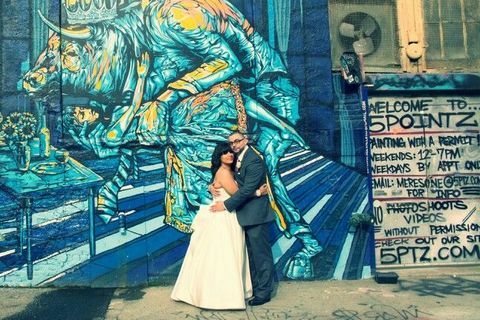 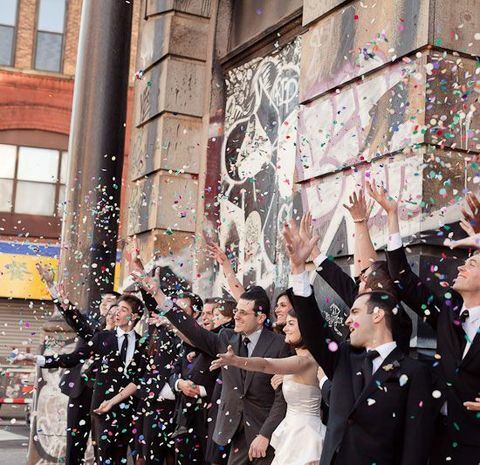 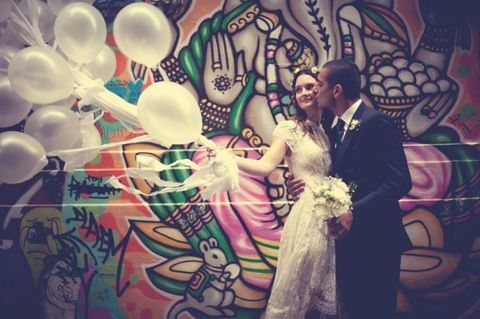 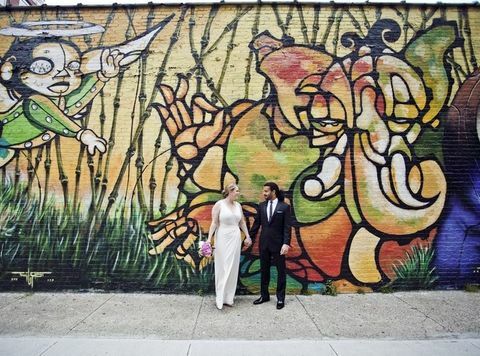 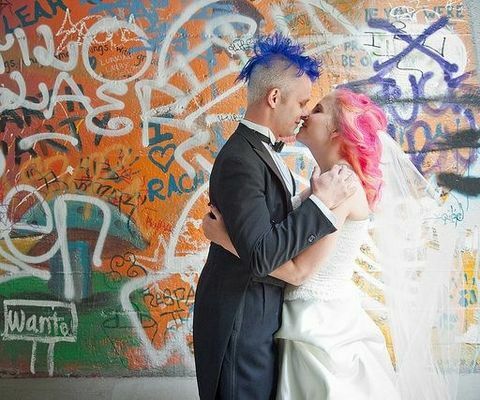 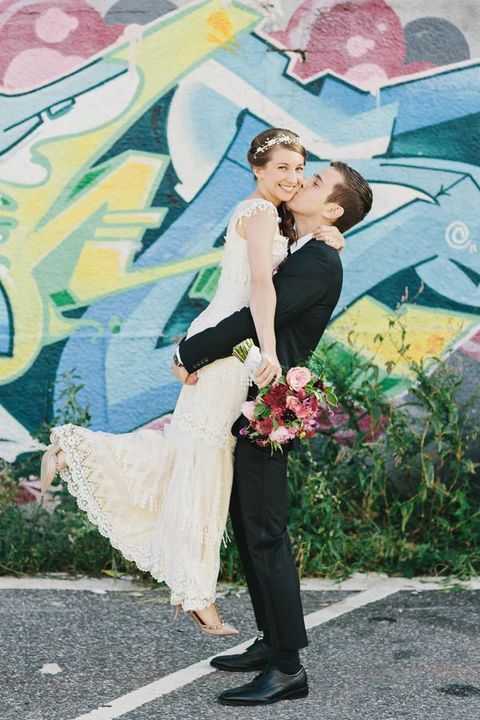 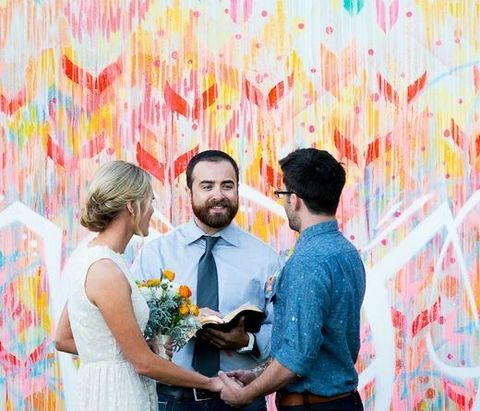 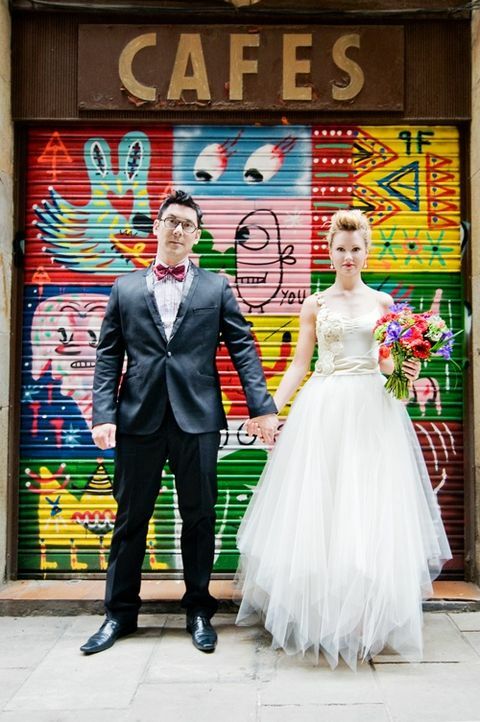 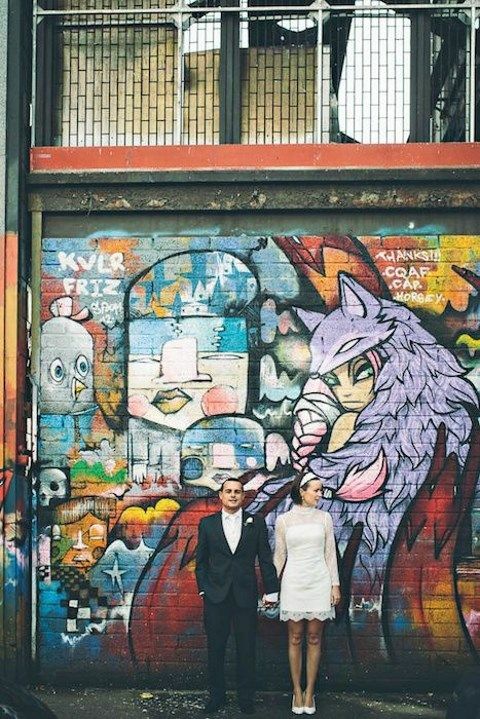 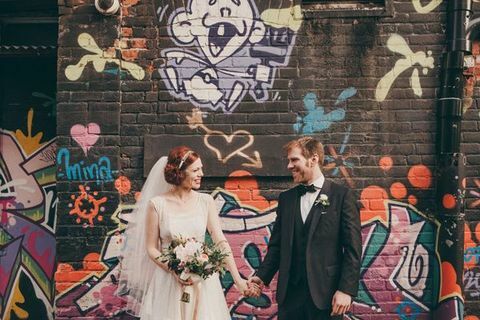 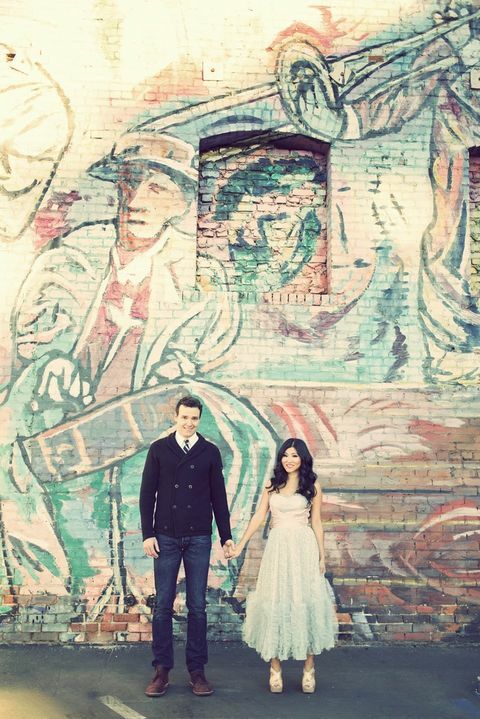 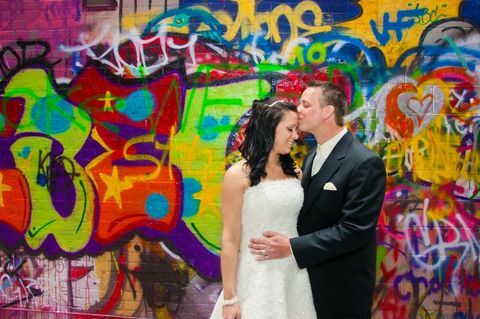 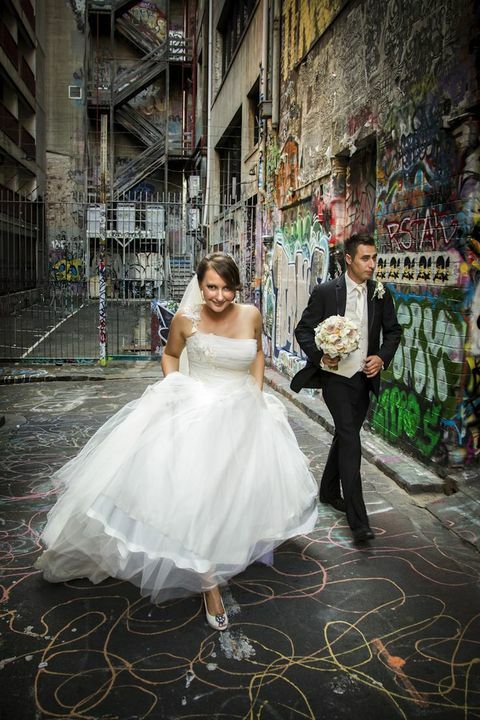 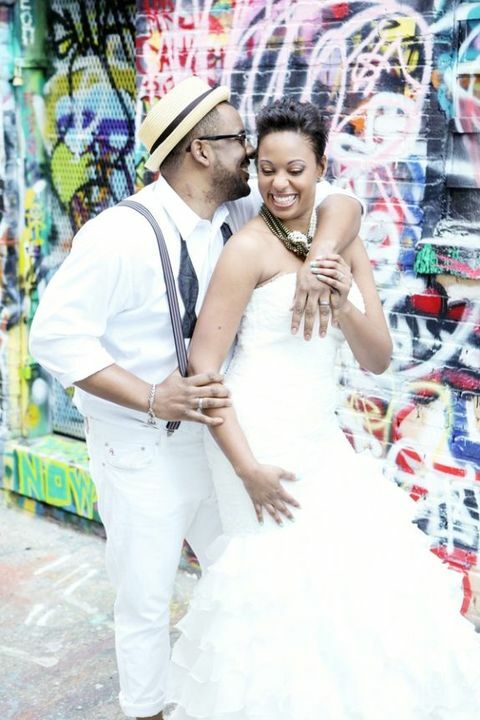 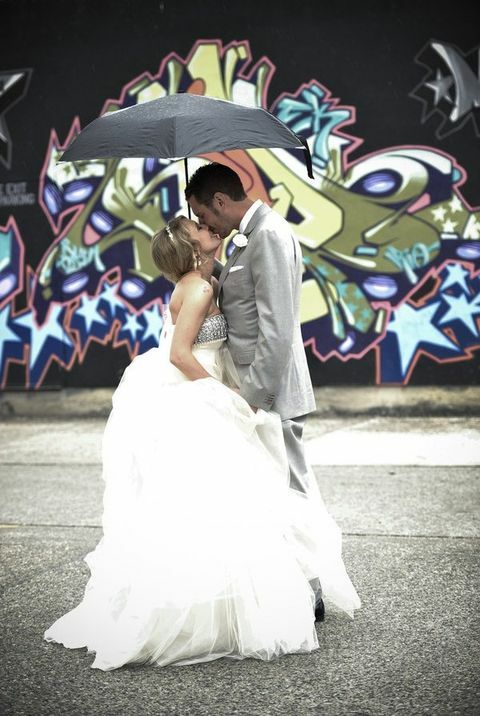 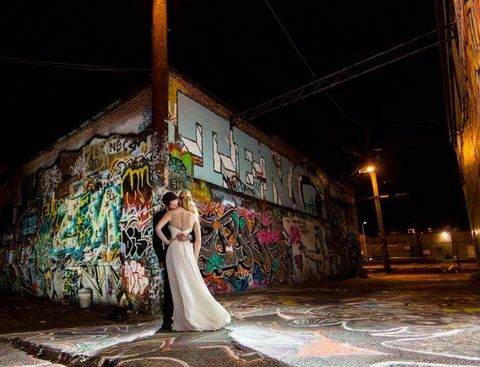 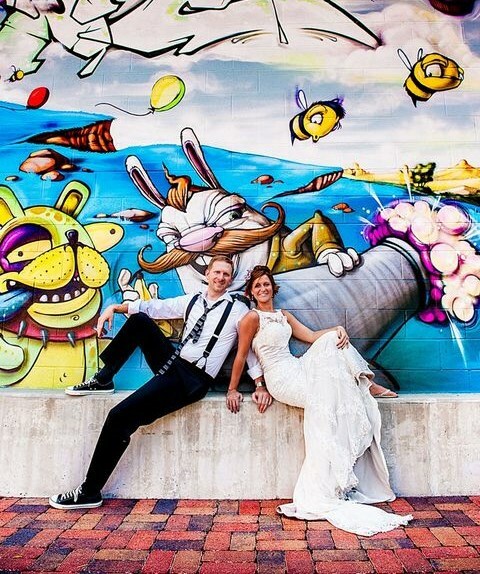 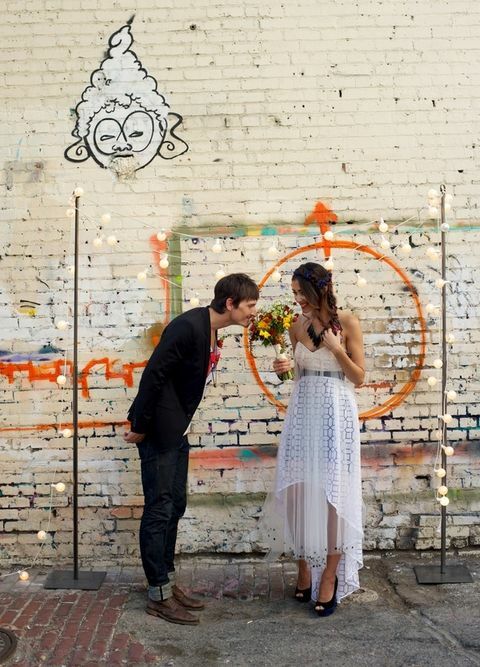 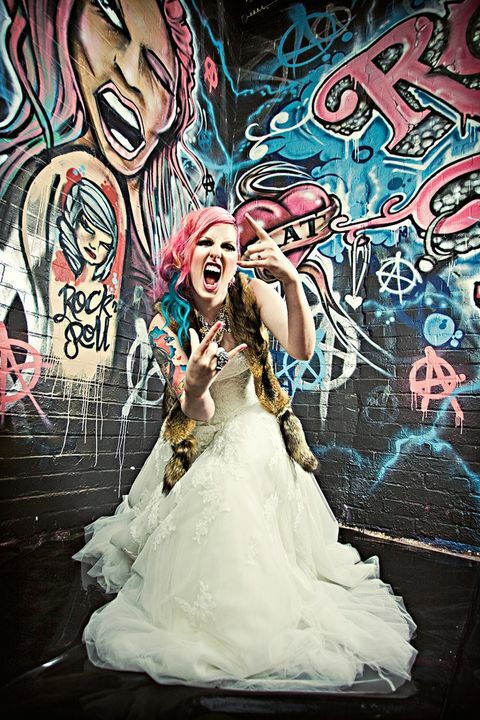 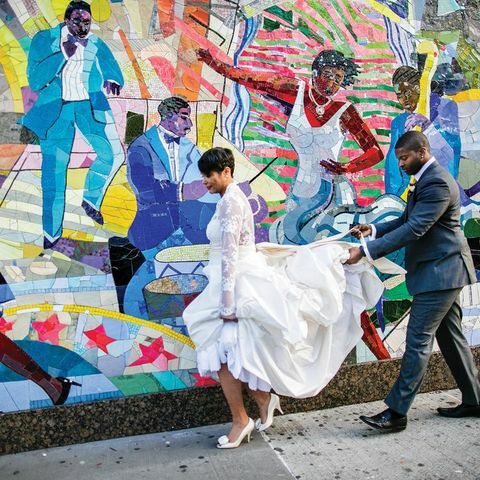 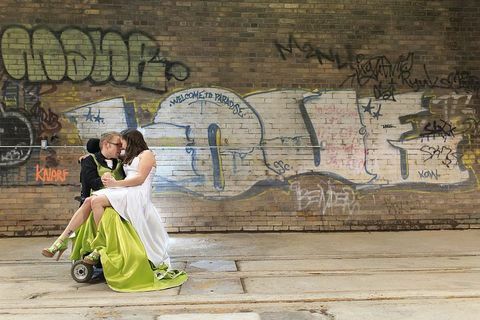 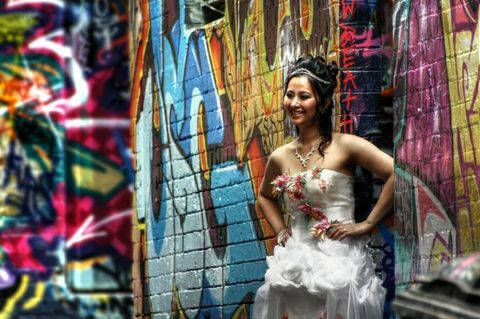 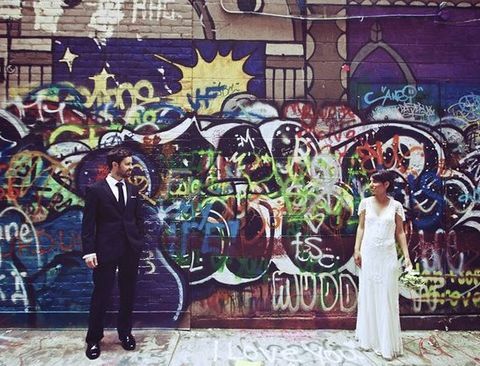 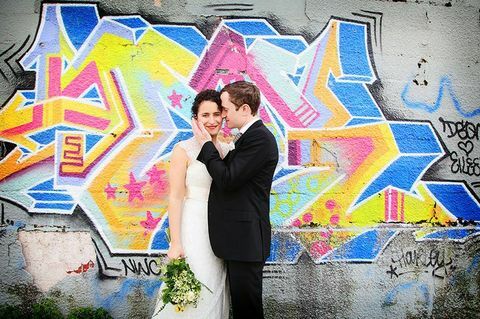 Graffiti isn’t a very often thing to see in weddings, but it’s gaining popularity first of all for engagement pics, and looks so cool for urban weddings! 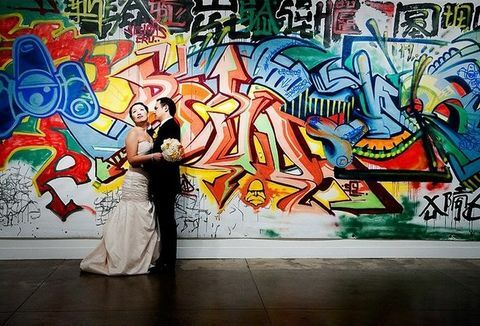 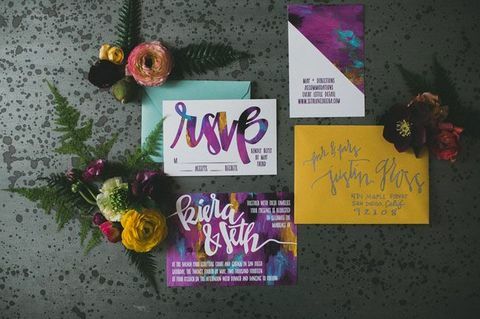 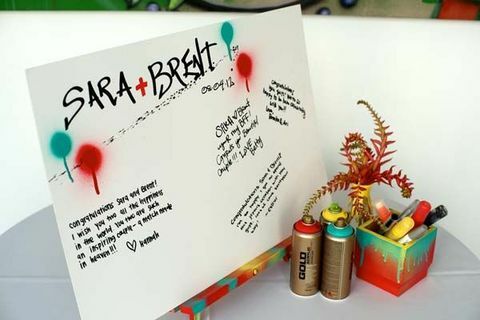 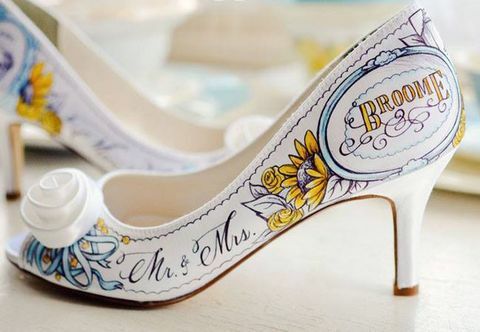 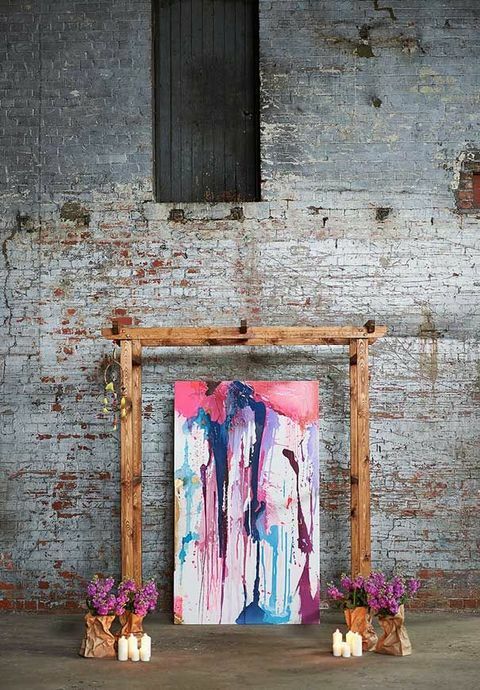 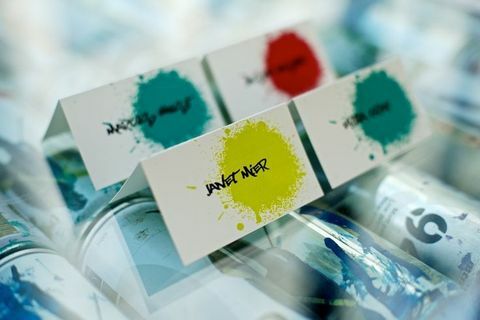 Graffiti backdrop, invitations, table runners, photo booth, even bridal shoes and dress – these things will definitely make your wedding more eye-catching and memorable. 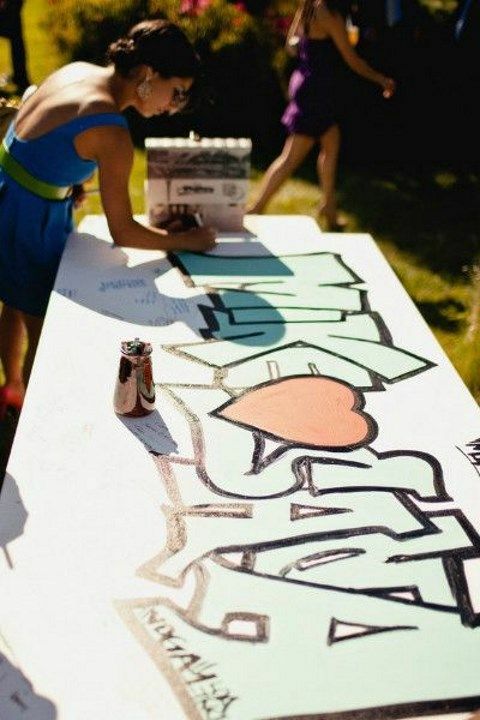 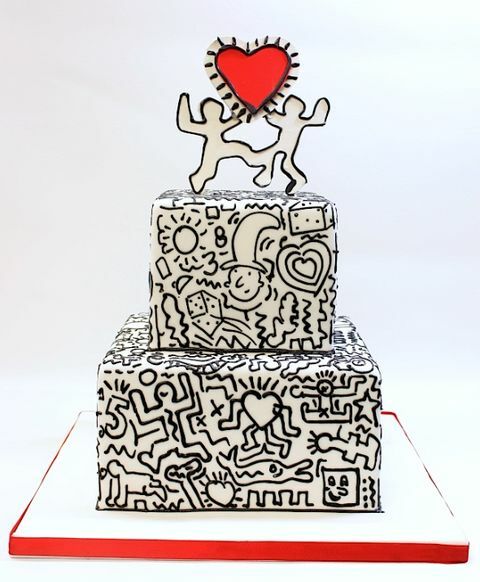 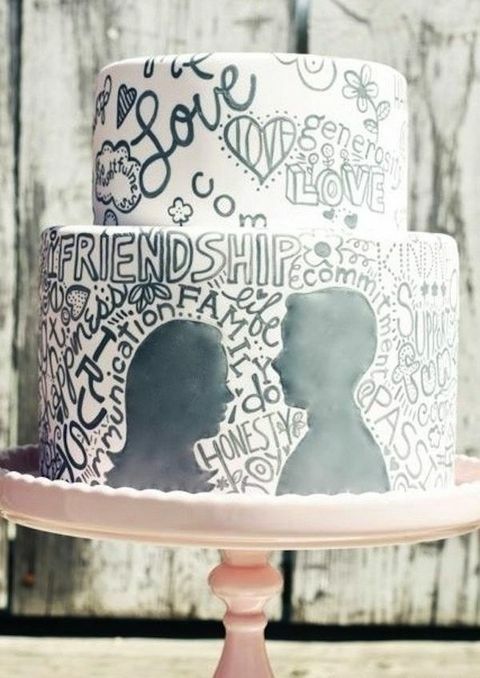 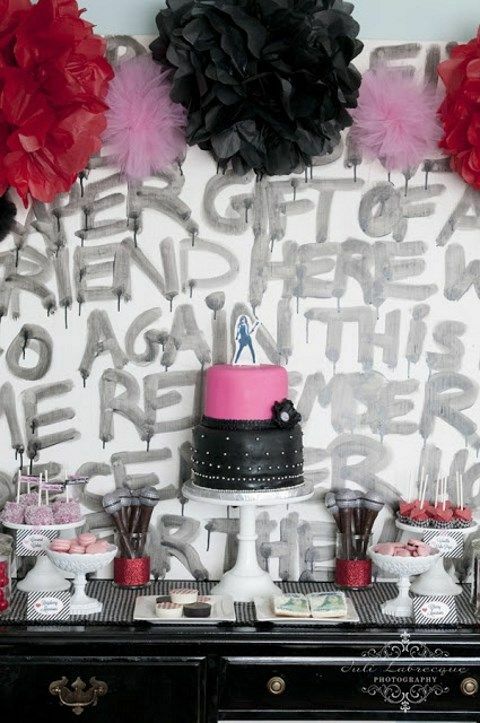 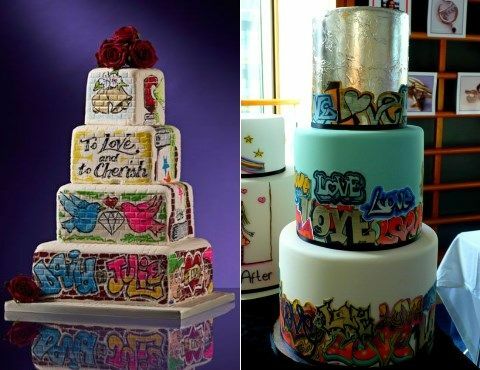 Your wedding cake can be also turned into a real urban graffiti masterpiece! 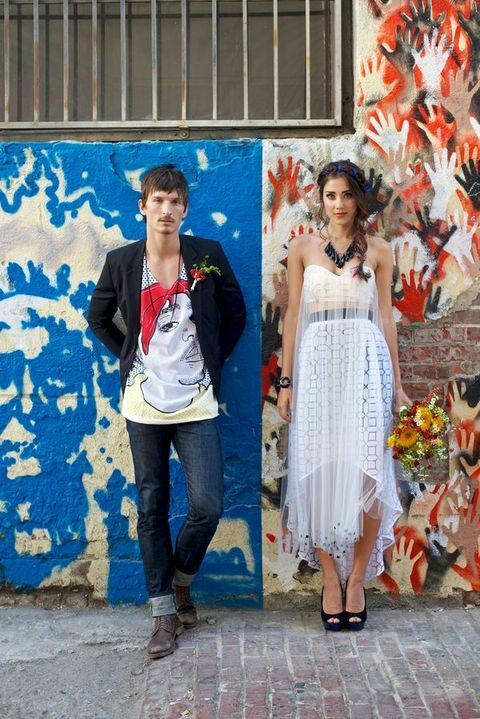 Look at the ideas below and I’m sure that you’ll find you inspiration there, be daring and cool!